Alchemist skull with rose in mouth. 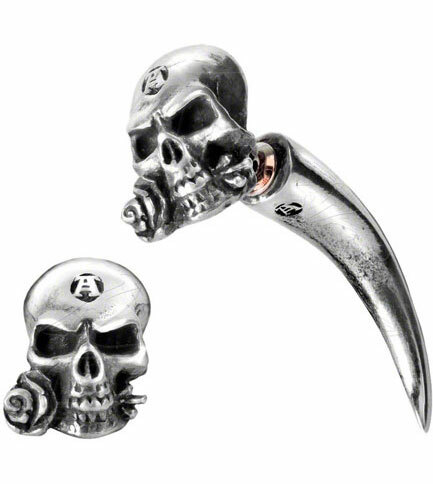 Made to look like a 7mm stretcher. 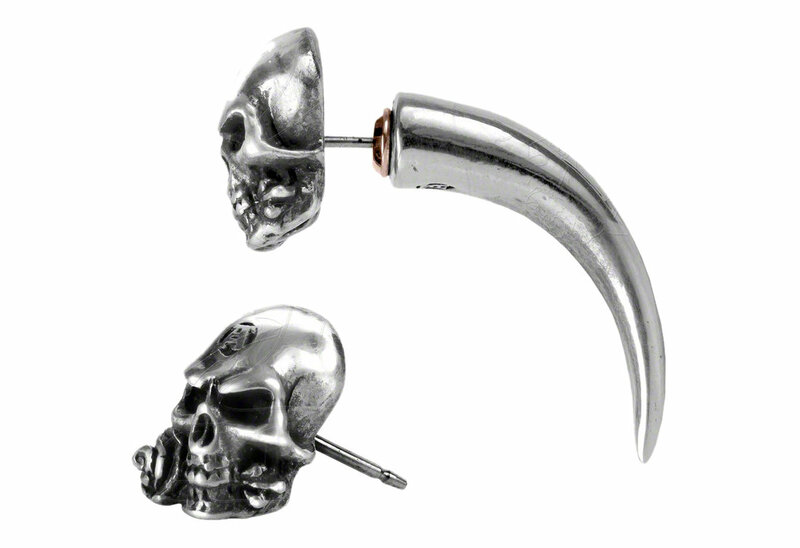 The metal horn faux stretcher is actually a post earring and will fit normal pierced ears. 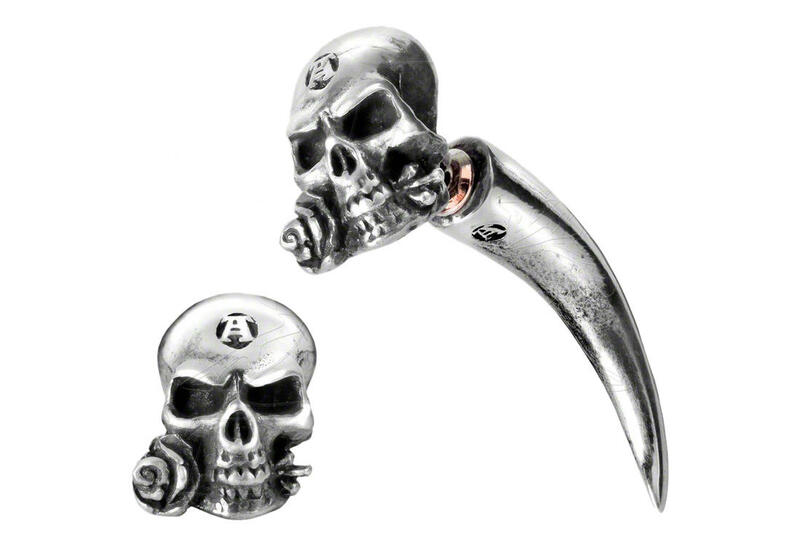 Made of fine English pewter with surgical steel post. Measures approximately 0.35 inches wide by 1.22 inches high and 1.18 inches deep. Imported from the UK.